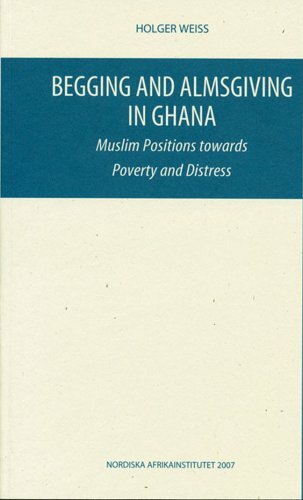 This study focuses on the conditions of poverty and the debate among Muslims in Ghana, a West African country with a substantialâ€”but largely economically and politically marginalizedâ€”Muslim population. Most of this population views poverty is a situation for â€œordinaryâ€ poor people who seek to make marginal gains in income to avoid ever-threatening destitution and social disintegration. Most of these â€œordinaryâ€ poor people, especially poor and illiterate women, do not believe that things can change.There exists, however, a minority that criticize social and political conditions with the stated aim of striving for an Islamic solution to poverty and injustice. The common denominator for this group is that they are urban educated Muslims, having both a traditional educational background and, usually but not always, a modern, secular one, as well. For them, the concept of poverty more readily forms part of a religious discourse involving feasible strategies for change. Their basic idea is to highlight the possibilities of generating new forms of financial resources by combining Islamic ethics with a modern development-oriented outlook. Their vision is the usability of obligatory almsgiving in a modern context, namely that, instead of the traditional individual-centered â€œperson-to-personâ€ charities, zakat or obligatory almsgiving should be directed to become the source of communal and collective societal improvement.